Father’s Day is just around the corner, and if you’re like me, you’re looking for something special for the dad that has everything, right? Every Father’s Day I find it more and more difficult finding just the right gift for my dad, my father-in-law, and my husband. They all seem to have everything. Well, I think I’ve found the perfect Father’s Day gift…. the SunBriteTV at Best Buy. I love the outdoor living trend… and it’s here to stay. One of the things that can really bring the indoors, outdoors, is a TV. 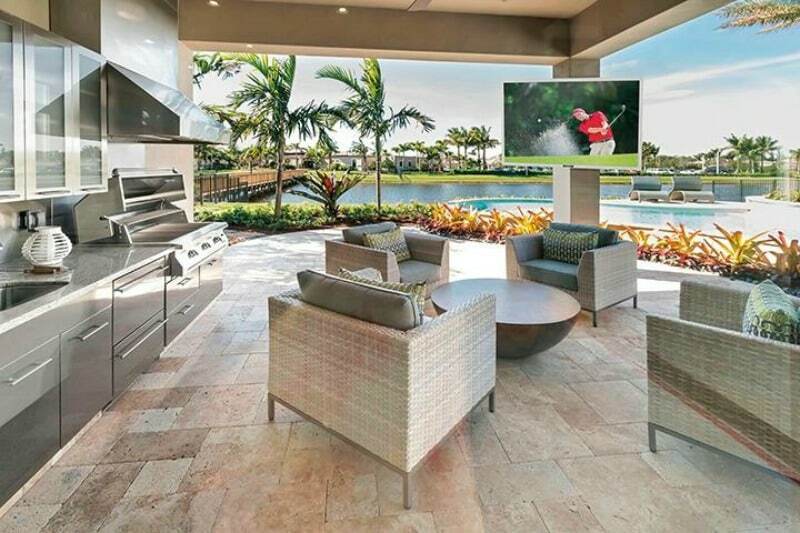 All-weather TVs enhance the outdoor lifestyle, but indoor TVs don’t belong outside. SunBriteTVs are true, made-for-the-outdoors products. 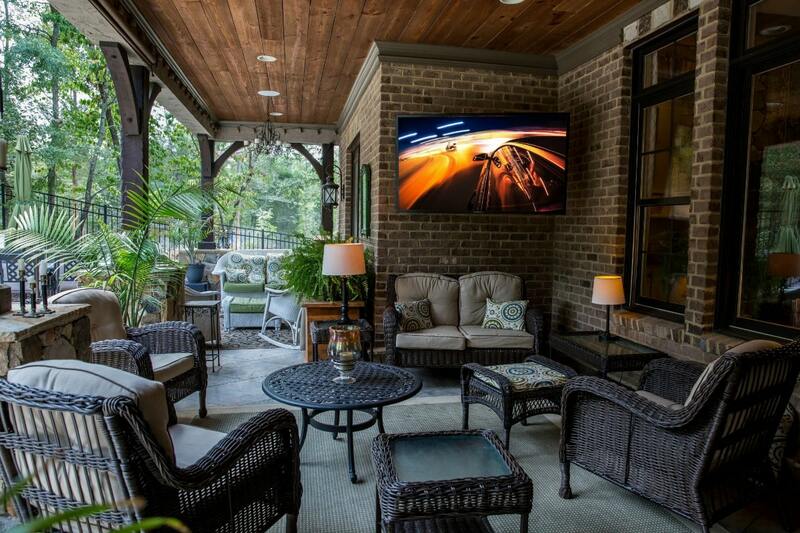 Creating an outdoor home theater is the most affordable room addition you can make, and the best seat in the house is in your backyard! No more choosing between enjoying the great weather or watching the game. Get a FREE Outdoor Weatherproof Tilt Mount for 37″ – 80″ TV Screens & Displays – (Black) with the purchase of a SunBriteTV – Veranda Series – 55″ Class LED – Outdoor – Full Shade – 2160p – 4K Ultra HD TV. Can you think of a better Father’s Day gift for the special dad in your life? I think my husband would love a SunBriteTV and I’ll benefit from an outdoor TV, too. Win-win. 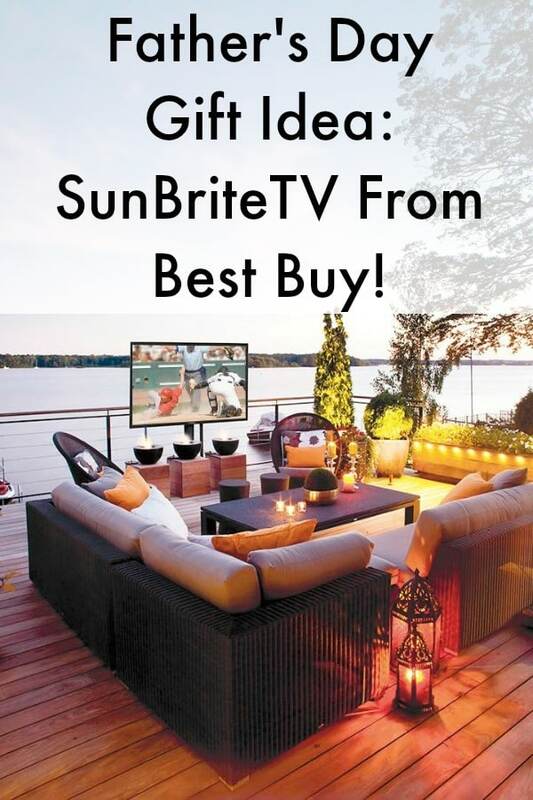 Treat your dad to an outdoor home theater experience with SunBriteTV from Best Buy, he will appreciate for years to come. If you like this post, please take the time to follow all my projects and finds here on Pinterest.